What does it take for a meeting to be truly unique and memorable? While each event will have individual goals to consider, at The Otesaga Resort Hotel we have decades of experience hosting amazing, one-of-kind meetings on our stunning property. Today, we're sharing a few of the tips we've learned over the years on how to create a truly unique meeting. This is especially important if your attendees have traveled long distances to your venue. After all, no one wants to take a plane just to see the inside of a hotel, no matter how beautiful it might be. Each venue has its own local draw. For example, The Otesaga Resort is only a short walk from the iconic National Baseball Hall of Fame, The Farmers’ Museum, Fenimore Art Museum, Cooperstown Distillery and just a short drive from Brewery Ommegang. By organizing unique excursions, you make it easy for your attendees to experience these attractions. Find out what different and unique catering options are available at your site. Most venues have signature offerings that will stand out to attendees. 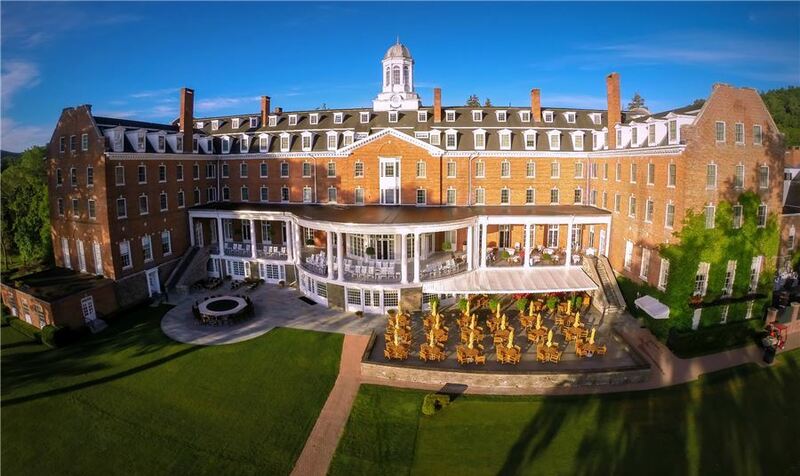 At The Otesaga, we offer the “7th Inning Stretch” in honor the National Baseball Hall of Fame. This alternative to a standard coffee break includes snack version of baseball field favorites. Mini Coney Island dogs in puff pastry and boneless chicken wings are served alongside popcorn, peanuts and Cracker Jacks. This small snack never fails to make a big impact. Choose a hashtag for your event in advance and include it in the event welcome materials. Engaging with attendees via social media gives you real-time insight regarding the effectiveness of your sessions. Additionally, attendees can alert you to any concerns as they arise, giving you the opportunity to resolve them quickly. Another great benefit of social media is the ability for attendees and speakers to connect with one another. With small groups, it may be appropriate to include attendee Twitter handles with the agenda. For larger parties, including Twitter handles on name badges is usually a better option. An over-scheduled event is an exhausting event, for attendees and organizers alike. Schedule networking breaks during the day and a social mixer. The breaks during the day allow people to continue conversations from the presentations and speakers. The mixer provides the opportunity for attendees to get to know each other a bit more. A meeting that cultivates lasting networking connections is an event worth attending year after year. No one sets out to plan a generic, forgettable event that merges with others in the minds of attendees. When you highlight the local flair, engage on social media, and foster effective networking, your event will stand out from the crowd. With the right planning, you can make your next event memorable for all the right reasons.